International Games System Co., Ltd. / Hold Jinn Electronic Co., Ltd. / Casing Macron Technology Co., Ltd. / Health And Life Co., Ltd. / Chief Land Electronic Co., Ltd. / Alltop Technology Co., Ltd. / Dexin Corp. / Daya Technology Inc. / ANL industrial Ltd. / SAINT-FUN International Co., Ltd. / Taitang Carton Co.,Ltd. / JINCHYA Technology Precision Co., Ltd. / Bliss Electronic Co., Ltd. / Jye Shing Co., Ltd. / Unicorn Electronics Components Co. Ltd. / Hundure Technology Co., Ltd. / Great Knives Manufacture Co., Ltd. / ANTONY INDUSTRIAL CO., LTD. / Sheng-Sing Technology Co., Ltd. / Zeroplus Technology Co., Ltd. / Ee-Power Technology Co., Ltd. / Liteconn Co., Ltd. / Dah Juu Die-Casting Co., Ltd. / Tung Jinn Abrasive Co., Ltd. / Joint Tech Electronic Industrial Co., Ltd. / Addcn Technology Co., Ltd. / Tai Perng Chemical Industry Co., Ltd.
1. Chang Wei Jen(Director), Shi Chun Cheng(Deputy Director), and Wang Chong Ping(CEO) finished their PhD in China, learning and understanding local regulations and national conditions. 2. 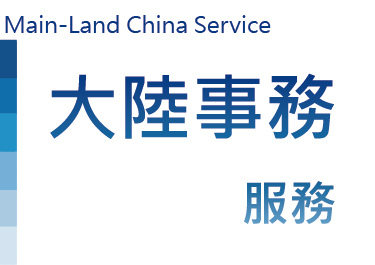 Jia Wei provides auditing services for Taiwan-funded enterprises. 3. Jia Wei is a member of LEA Global.